For a few years of my life, I lived in Swayzee, Indiana, a REALLY small town roughly 25 minutes west of Marion, Indiana. Around the holiday season, we always made it a priority to go drive through the Walkway of Lights in Marion. It was always a highlight of my holiday season, even though it was such a simple event. 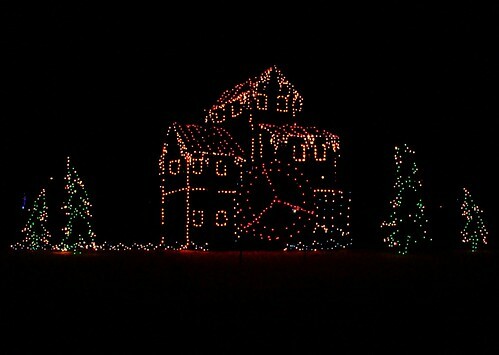 My step-sister and I would always get so excited to see the lights. Even though most light displays were the same every year, there was always one or two new ones, and we always looked forward to seeing which ones those would be. The Walkway of Lights is one of the longest running and largest light displays in the Midwest, so it’s definitely something to make the drive for. The Walkway runs along the Mississinewa Riverwalk from downtown Marion to Matter Park. 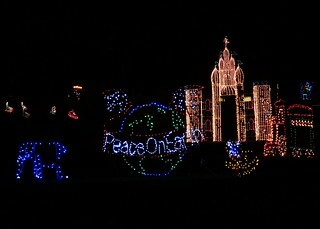 There are over 120 displays, which spans nearly four miles and features more than 2.5 million lights. The Walkway of Lights runs from November 17th through December 31st, and the lights are on from 6:00 pm to 10:00 pm. Every year that we would go to the Walkway, my step-sister and I would have these little traditions that we would do at certain light displays. For example, whenever we would get to the point where the 12 Days of Christmas lights were, we would sing the song along with each light display. There were a couple years where we walked the Walkway of Lights, instead of drive through it, and we would play in and around the giant “Ice Castle” in the park for a few minutes. I’m so glad I have memories like these to remember every holiday season. Unfortunately, I’ve moved away from Swayzee and Marion, and with that, I’ve completely forgotten about those memories and the Walkway of Lights. I have numerous friends that go to Indiana Wesleyan University in Marion, so maybe I can talk them into going with me this year. I would really like to relive some of those old memories, and hopefully make new ones.